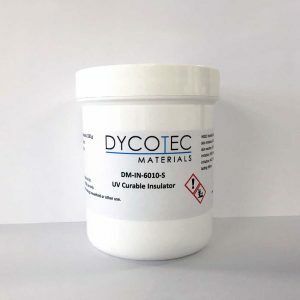 Dycotec Materials offer a range of overcoat inks and pastes that have been developed for a broad range of applications including; automotive, aerospace, touch-screens, OLED, multilayer printed circuits and thin-film photovoltaic. The overcoat layers can be either screen or inkjet printed and UV or thermally cured. Our overcoat inks and pastes, which are epoxy based, offer exceptional levels of hardness ensuring protection of the underlying circuitry against handling damage. 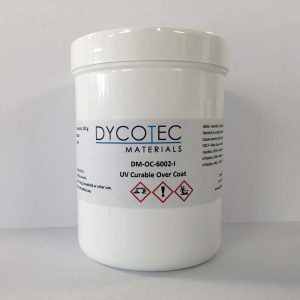 Due to their exceptional mechanical properties, the overcoat inks can be readily overprinted with conductive materials. 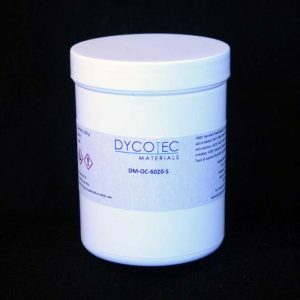 These materials offer excellent chemical resistance. Variants of these systems are available that provide improved barrier layer performance against water and oxygen ingress. We provide overcoat inks and pastes to a global customer base, offering a flexible delivery service from low volume samples to high volume to meet our customers’ production needs. We can rapidly tailor formulations for specific customer requirements.